More and more high end retailers are embracing my livelihood - hoory! The latest is Barneys, who just announced a Facebook pre-sale! For 48 hours only, from Thursday, February 3 through Friday, February 4, fans of the Barneys New York Facebook page will have the opportunity to be the first to purchase the Helmut Lang “Loki” bag, a black distressed leather shoulder bag inspired by a vintage Motorcycle jacket. The unique bag features specialty hardware, a solid brass base and customized finishes. On Saturday, February 5, the complete Helmut Lang handbag collection will be available to the public at Barneys New York stores. The Colovos’ have created their first handbag collection for the contemporary label composed of six unique styles: Neith Hobo, Styx Large/Small Clutch, Syn Evening Bag, Bunker Bag, Loki Messenger Bag and Oona Wristlet Bag. In addition, Barneys New York and Helmut Lang will be launching a contest on Twitter from Saturday, February 5 through Wednesday, February 9. 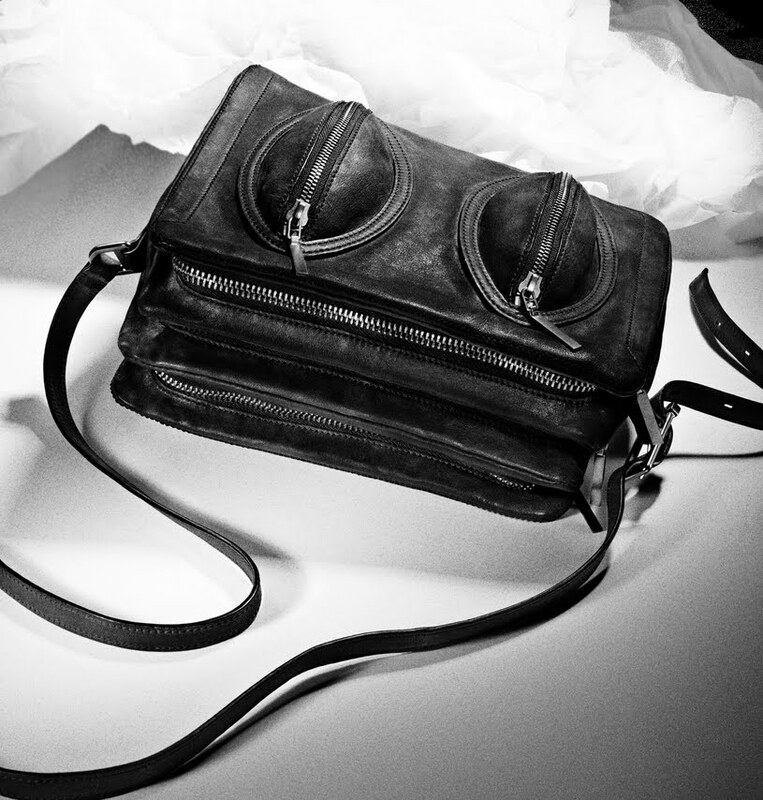 To enter, guests will be asked to follow @BarneysNY and @HelmutLang on Twitter, and tweet at both brands describing how they would style one of the Helmut Lang handbags. Barneys New York will then select one winner from the “Tweetstakes”, who will receive the Helmut Lang handbag of their choice. The winner will be asked to take a photo of themselves accessorized with their new Helmut Lang handbag, which will be publicized by Barneys New York’s social media.